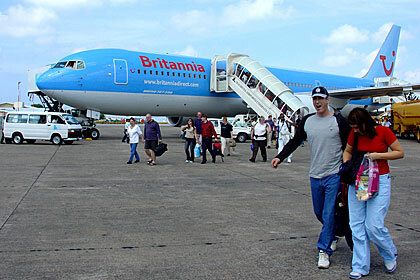 Aviation industry is relatively a young industry in the Maldives. The largest company which provides national flights is the Maldivian Air Taxi, a foreign investment. At present about three companies including state owned Island Aviation operate in this sector. Island Aviation mostly provides flights to local people who fly to distant atolls where regional airports are available. The other two companies mainly provide air transportation for tourists from Hulhule’ International Airport to their designated resort. The aircraft used are sea planes as almost all the islands do not have runways. In early 2000 government has granted licence to construct an airport in Mamigili Ari Atoll. Up until then all the airports are constructed by the state and run and managed by the state. More information on investments opportunities and procedures can be obtained from Civil Aviation Department of the Maldives. Maldives Civil Aviation Act came into force in 2001. This Act makes provision in respect of the registration and operation of civil aircraft in the Maldives; construction, registration, operation and use of civil aerodromes; other matters relating to civil aircraft and aerodromes; and safety of civil aviation in the Maldives.